Benefits: Massages the internal organs and the digestive system; so quite detoxifying! Encourages the shoulders to be more open. Lengthens the spine. Hold your legs behind the knees with your right forearm. Slowly bring your knees towards the floor on your right side. 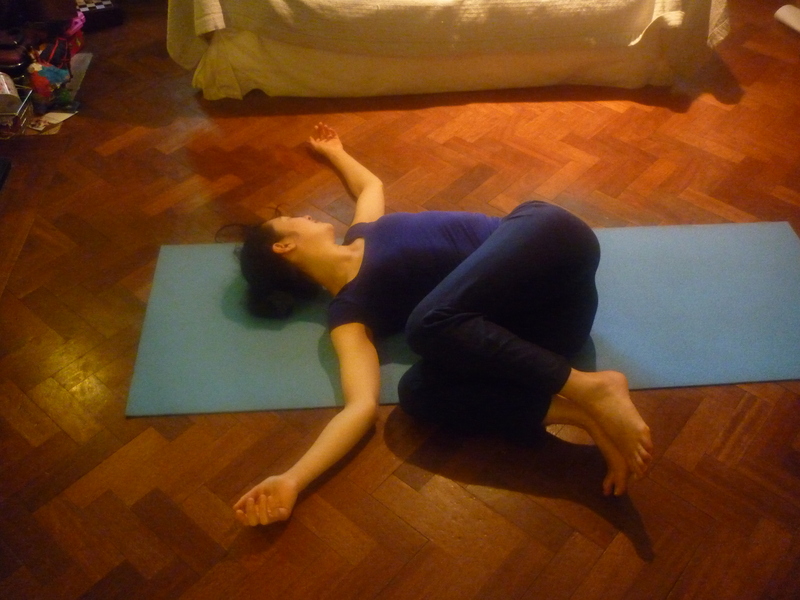 (If this feels too strong then place a cushion on the ground for your knees to rest on). Gently look to the left. If you feel comfortable – remove the supporting arm. To come back to the centre breathe out gathering your strength in your abdomen. Take a moment and breathe….. before doing the other side. 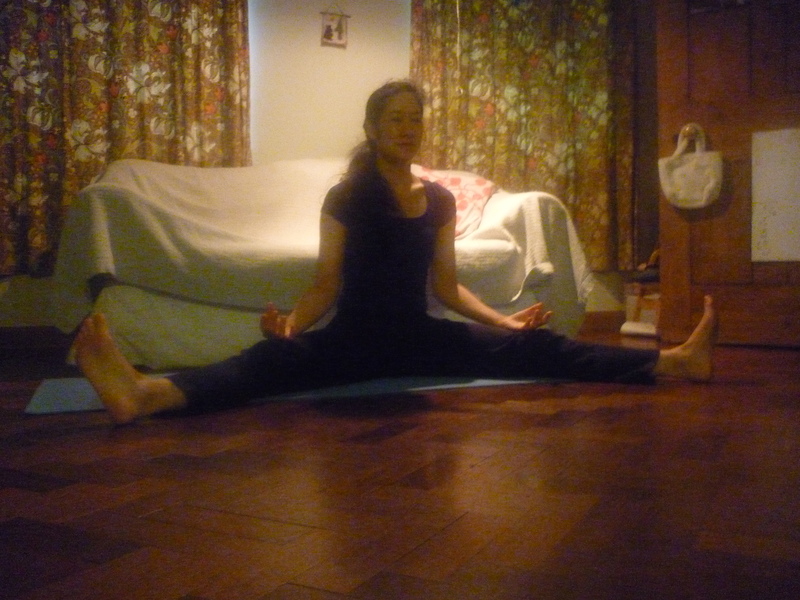 Benefits: Can strengthen the muscles around the knees and help this area from feeling so vulnerable. Also strengthens the abdominal muscles and can improve flexibility in the hips and hamstrings. Contraindication: This is generally a very safe posture to practice, but if it feels a strain keeping the upper body upright, place a cushion just underneath your tailbone. This will give you some extra support and make the posture feel much more pleasant to do. Have an awareness of your spine being long and gently lengthening upwards. Lots of classes in one day! back to back. yoga for the masses!